The head starts at the end of the snout and curves back. Add the ears at the top of the head. They point forward. The neck curves slightly in as you draw it back. Add the ears at the top of the head. This will be the very top of the wolf's head. Shade the borders of the wolf's head by using your shading stick or the flat side of the pencil. 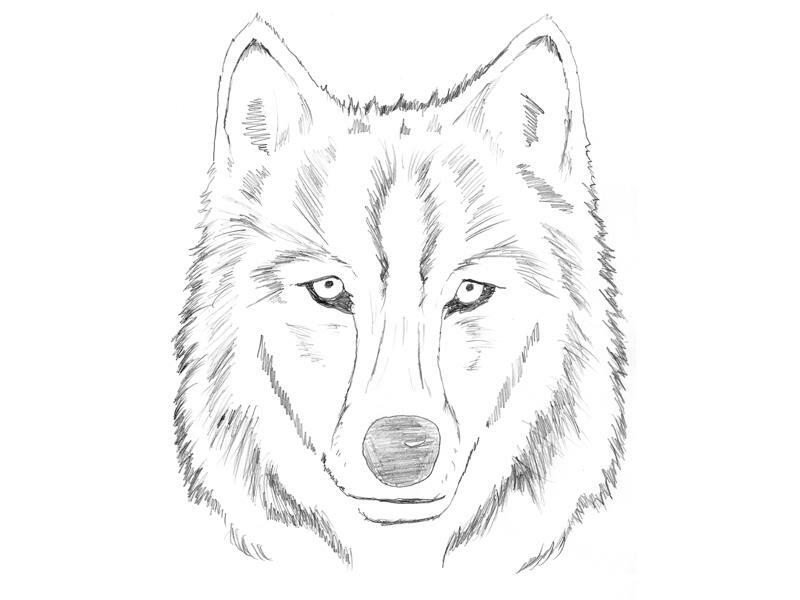 The coloring is important, so make a special note of the places the wolf is darkened.